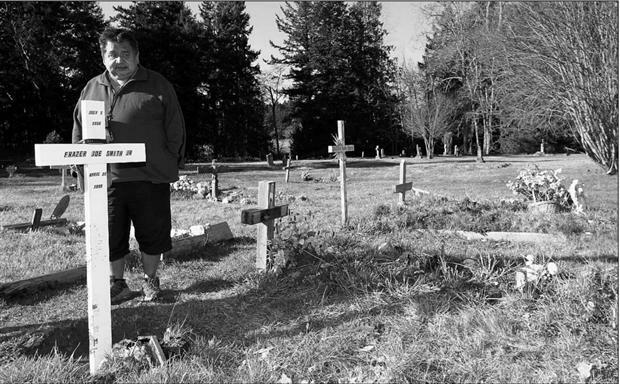 In Tsartlip, a Coast Salish community near Victoria, BC, a family grieves the loss of a loved one for the second time. Back in 1999, a fatal car accident took the life of then-30 year old Frazer Joe Smith Jr.. Thirteen years later, the family struggles to understand the removal of a totem pole memorializing Smith. The graveside artwork was uprooted and stolen from the small community cemetery on February 21. But such thievery should not be viewed as an isolated incident. As Indigenous people, we are all too familiar with the theft and displacement of that which is sacred to us. Across the globe, non-Aboriginal museums, art galleries, archives and private collections are filled with our totems and ceremonial regalia, even the remains of our ancestors. The widespread theft of our sacred objects reflects a gap between Indigenous and western systems of meaning, and the way this gap manifests in law and other sites of power. During the early days of colonialism, the theft of our artifacts was seen as a way of capturing a ‘dead’ or ‘dying’ race; removal of those items, therefore, was meant to preserve or salvage remembrances of past-tense people. Here in the present, we see that — despite the unrelenting efforts to assimilate us or obliterate our ceremonies — Indigenous peoples and cultures are thriving. Although Indigenous artists create work for sale in the contemporary art market, sacred places and sacred objects have retained a meaning far beyond their monetary value. These pieces made for ceremony are infused with an explicitly spiritual significance, and are placed in sacred spaces, such as graveyards, to honour ongoing ancestral and spiritual relations. That such complex inspiration was at work in the case of Frazer Joe Smith Jr.’s memorial pole is clearly evident. According to Smith’s father, the pole was visited regularly by family members, who revered it as a representation and reminder of this late young man. As police begin their investigation into this unthinkable act, it is worth exploring how it reflects the larger relationship between Canadian law and the theft of Indigenous property. Indeed, one could say that some forms of theft have been facilitated through Canadian law. In BC, where few signed treaties are in place between Canada and Indigenous groups, land theft is a clear and present example. The theft of Indigenous children from their homes — initially through federally-legislated residential schools, subsequently through generations of discriminatory child apprehension policies — also reflect the use of law to forcibly displace Indigenous people from their communities and territories. 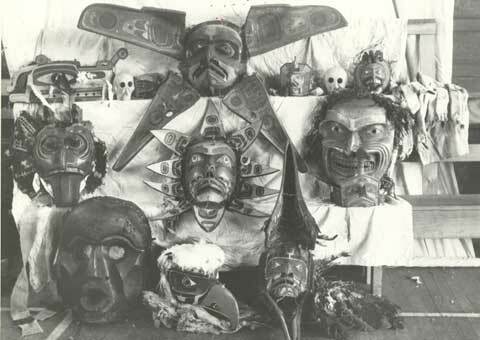 And then there is the realm of culture: the Indian Act facilitated the theft of ceremonial regalia and other spiritually significant items, for example, the banning of the potlatch from 1884 to 1951. In order to support efforts to assimilate Indigenous people to Canadian and Christian ways, regalia was forcibly taken by Indian agents and other government representatives. These examples illustrate how a powerful system of law permitted individual Canadians to steal from Indigenous people who were jailed if they resisted. Indigenous objects taken into non-Indigenous institutions meant their true spiritual significance was lost as they became trinkets for consumption within entirely different cultural contexts. Looking at this history, it seems that stealing from ‘Indians’ is not really stealing — i.e., something you’d normally regard as unusual or deviant — so much as it is par for the course in processes of colonial settlement. Thankfully, once-lost family members, ancestors and ceremonial are finally (if slowly) coming home. So too are those Indigenous children who were removed through discriminatory child welfare policies. As lengthy and laborious efforts to negotiate treaties in BC continue, we also see a growing series of partnerships between Indigenous communities and museums over the repatriation of human remains and cultural artifacts. These latter efforts constitute some level of recognition that these items were indeed wrongly taken, and still belong to the Indigenous communities from which they were taken. As seen on the websites of the U’mista Cultural Society or the Haida Repatriation Committee, Indigenous peoples across Canada are working to regain the stolen remains of their ancestors, along with grave materials and cultural items, from across the globe. Yet while some laws facilitating the theft of Indigenous property, people and cultural items have been repealed or changed, Canadian law does not yet reflect a legal commitment to repatriation. Unlike the United States, Canada has no positive legislation on repatriation of cultural property; it has merely developed policies, which often work in tandem with the policies of individual museums such as the Museum of Anthropology. The power of social and cultural norms are used here in the absence of legal protection, perhaps as some gesture toward mending relations between these institutions and the Indigenous communities whose artworks are displayed on their walls. Despite these efforts to repatriate items to their rightful owners, the theft of spiritual items continues. A hunger for Indigenous artifacts, which are now highly valued within the market economy, goes on unabated. So how will the police and Canadian legal system help in this case, I wonder? And given its cultural grounding in Canadian values, is Canadian law equipped to deal with the theft of this memorial pole from a young man’s grave site? Moreover, how will Indigenous and non-Indigenous people work to stop the free-for-all theft of Indigenous lands and resources, human remains, and cultural artifacts? This is clearly a long, ongoing process of building relationships anew and changing social norms. But for the people of Tsartlip, these attitudes can’t change soon enough, as they wait for their loved one’s memorial pole to be returned to its rightful place. It’s horrible that this memorial pole has been stolen from the Tsartlip community – and, as you state so well here, clearly part of a much larger pattern of theft, appropriation and destruction committed against Indigenous people. Thank you for putting this into context and for continuing to post critical insights and questions. I hope that many people can read this so as to bring more attention to this theft and further shift perceptions when thinking about colonial policies and practices in “Canada”, museums, cultural appropriation and the law. There is still unethical behavior even among archaeological circles,where our Wendat/Tionnontate village sites have been abused to amass personal collections for a non-aboriginal archaeologists own home, and this behavior, though not “condoned” by the Ontario Archaeological Society is NOT condemned, in fact a certain “collector” has been even recently honored by the O.A.Society, even when they are fully aware of this unethical practice.